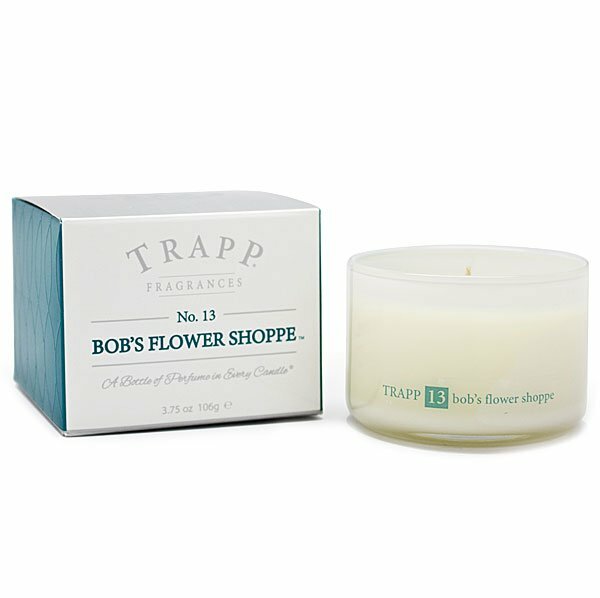 Trapp Ambiance Bob's Flower Shoppe Small Candle is like walking into an open air flower market – you are enveloped by the fragrance of all the flowers, freshly cut green stems, and water droplets on each petal. The new Trapp Ambiance Collection comprises the same classic Trapp scents you have grown to love, with a new modern vessel & packaging! This new smaller 3.75 oz size is perfect for travel or a smaller room. This sophisticated collection is designed to fill a room with fragrance - any room. Hand poured in an elegant vessel for a fresh, clean look. The vessel provides a radiant glow when lit. The unique colorful packaging engages the senses of sight, smell, and touch.